But you do not need to wait until August 2012 to participate. The following 12 easy steps allow you complete participation today. 1. Fill in the registration form. No fees. 2. Contact us for help. 3. Search our list of local and global issues. Add your own issue if not already on the list. 4. 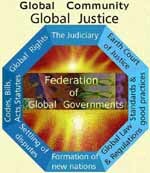 Study the Global Community Overall Picture. 5. See societal sustainability and species adaptation through humanity's newly acquired vision of the world. 6. Research statistical information and measurement of sustainable development. 7. 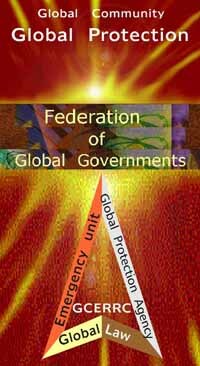 Read work done on Earth governance and management. 8. Organize your own forum or global dialogue in your community. Start up a Workshop Session. 9. Write your results. Speak on issues. 10. Send us your comments and recommendations. 11. Show your work. Publish an article in our monthly Newsletter (see 'Current News'). Publish with the Global Information Media. 12. 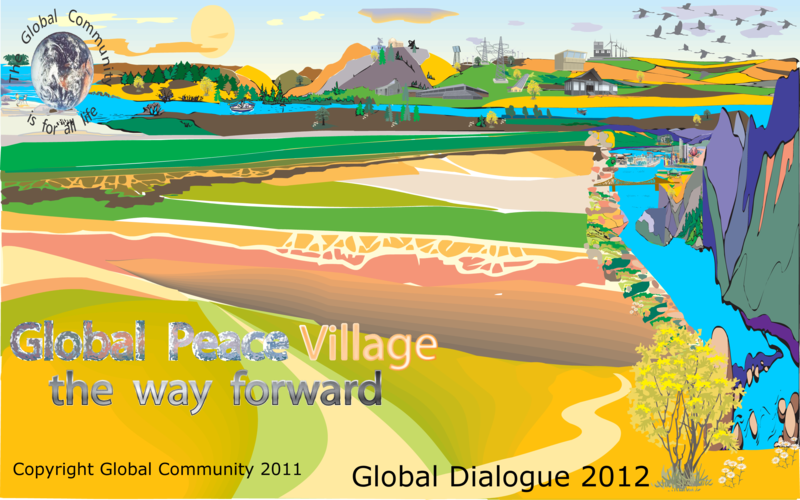 Participate in Global Dialogue 2012. Your work will appear in Proceedings 2012. 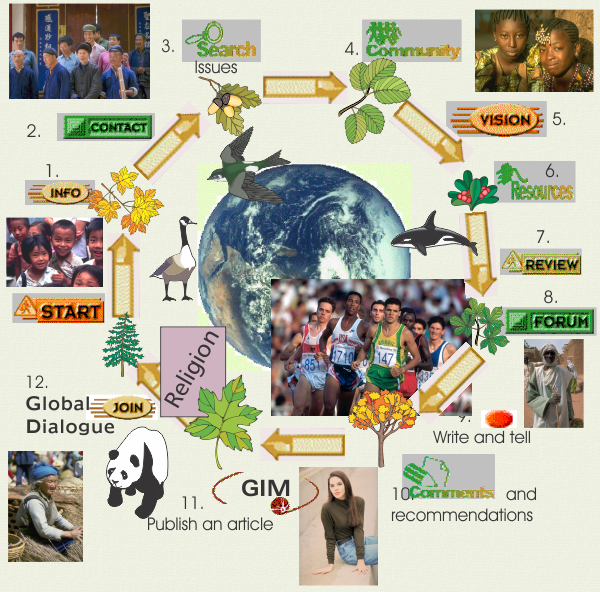 Become a member of the Earth Community Organization (ECO), the Global Community. 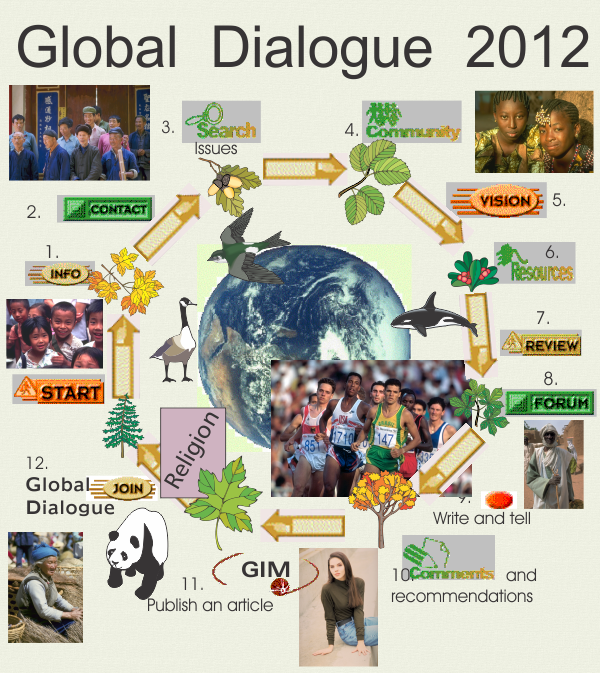 Be a LEADER of Global Dialogue 2012. 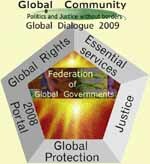 The reason why Global Dialogue 2012 is so important to humanity has been explained in the Introduction to Essential Services. As a first step to every participant it would be best to read the Introduction. Several websites were created specifically showing what we mean by Essential Services to serve the people of all nations, all life on Earth. Links to those websites are shown here.